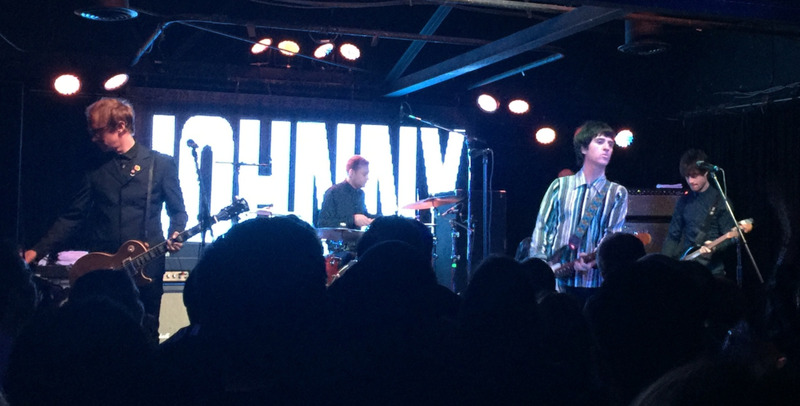 Johnny Marr, guitarist from the legendary The Smiths took the stage at Strummer’s last Tuesday night, giving us a show we won’t soon forget. 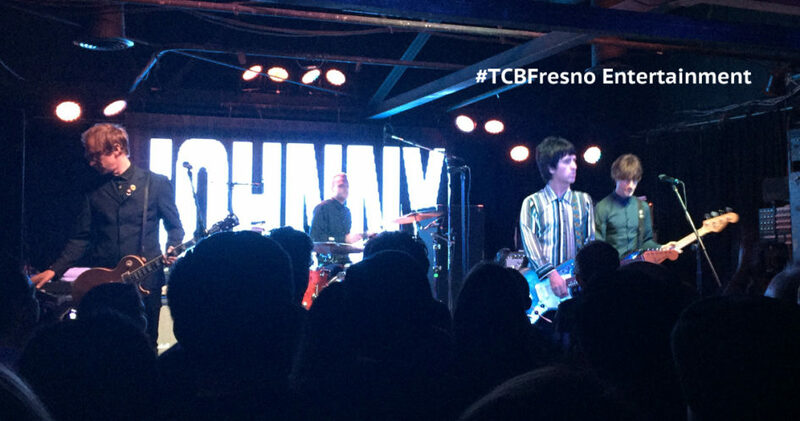 In this 2nd show of a 6-date California tour in support of his latest live album, Adrenalin Baby, Marr played songs from his catalog of solo albums and hits by The Smiths and Electronic, and he even threw in a Depeche Mode cover. From the moment the band took the stage, the crowd was alive and jumping. 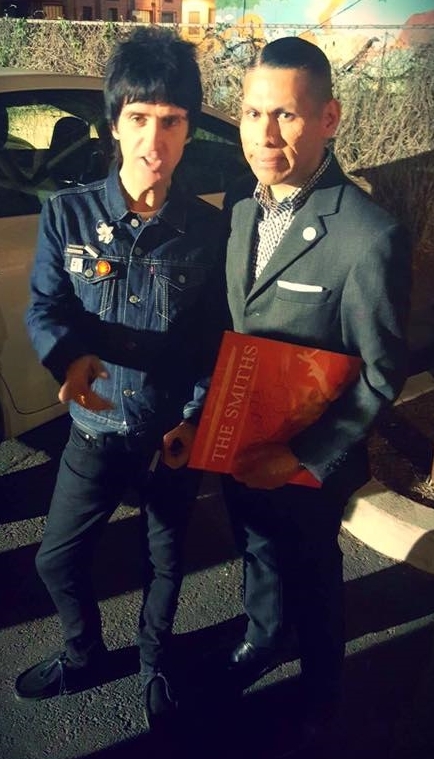 With each Smiths song he played, which included “The Headmaster Ritual,” “Bigmouth Strikes Again,” and “There Is a Light That Never Goes Out,” the crowd could be heard singing along even above the loud yet clean sound system at Strummer’s. The Brit Pop hits continued for nearly 2 hours, with “Easy Money” and “Generate! Generate!” as well as Electronic’s “Getting Away With It” and included an encore set—of course. 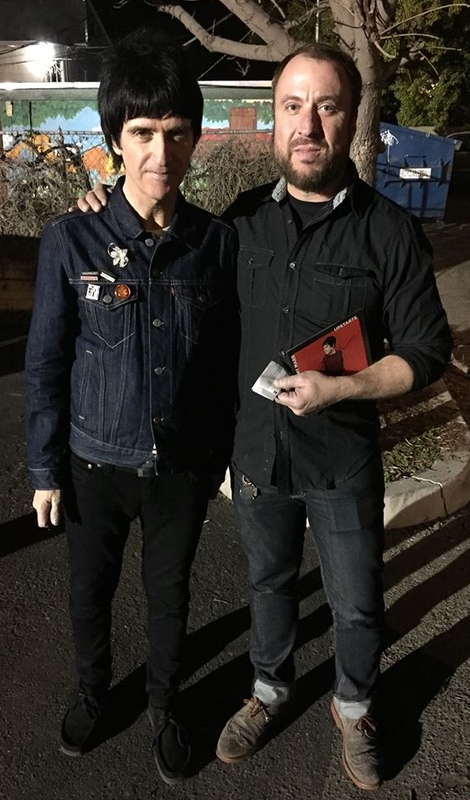 Johnny with another Fresno legend, Vince Corsaro of The Sleepover Disaster and too many other bands to list! Before leaving the stage, Marr professed that he would see us again real soon. And it wasn’t long after the crowd began changing “Johnny, Johnny, Johnny” that he kept that promise and came back for the final set which included Depeche Mode’s “I Feel You” and finished strong with the indie anthem of a generation, “How Soon is Now?” as shown in the video below. Openers, Mimicking Birds, had warmed the crowd up with their brand of mellow shoegazing (and I mean I only saw them look up once or twice throughout the set). But the night belonged the King from Manchester, Johnny Marr, and band. And he even stuck around to take pictures with us Fresnans! Can you believe that? Long live the King of Brit Pop! Christopher has his eyes and ears open for all things TCBFresno. TheChatterBox Fresno is the place to find out what's going on in and around Fresno in business, entertainment, and all other goings-on. Dig in and enjoy! 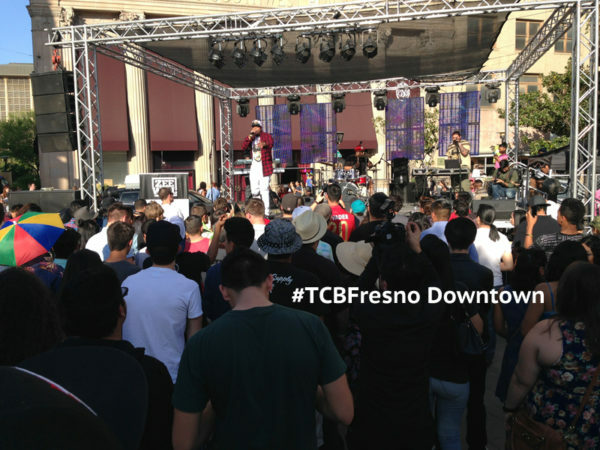 If you see something cool, use #TCBFresno to let us and the rest of Fresno know about it.